The highlight for this month is Trooping the Colour on Saturday 17 June to celebrate the Queen’s official birthday. The ceremony dates back to at least the early 18th century when the colours (flags) of the battalion were carried (or ‘trooped’) down the ranks so that they could be seen and recognized by the soldiers. The Queen attends in a horse-drawn carriage and the regiments of the Household Division, her personal troops, parade in front of her. Over 1,400 soldiers are on parade, plus 200 horses and over 400 musicians. Rehearsals for the big day include the Major General’s Review on 3 June and The Colonel’s Review on 10 June. While these are ticketed events you can see the parade on The Mall on its way to Horse Guard’s Parade. 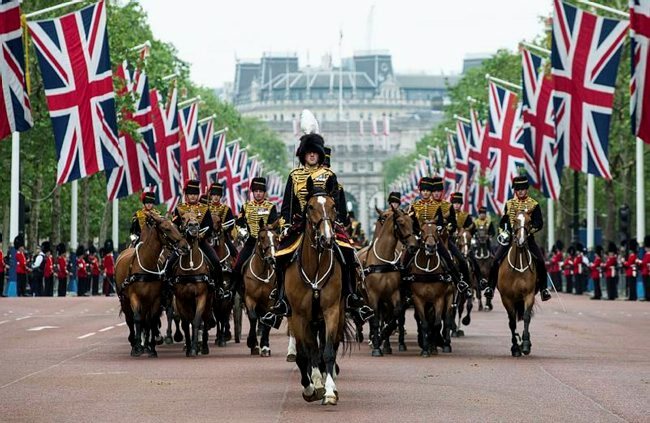 There’s also Beating Retreat on 14 and 15 June at Horse Guard’s Parade – a spectacular evening pageant of music and military precision drill, including horses, cannon and fireworks. And on 2 June there’s a 62-gun salute outside the Tower of London to mark the Queen’s Coronation in 1953. Since The O2 launched in 2007, it has become one of the most successful, and recognisable, music and entertainment venues in the world. This month it’s celebrating its 10th birthday with a series of shows from big name acts. alt-J are in The O2 Arena on 16 June with their biggest show in the UK since 2011, and Jamiroquai take to the stage on 23 and 24 June. 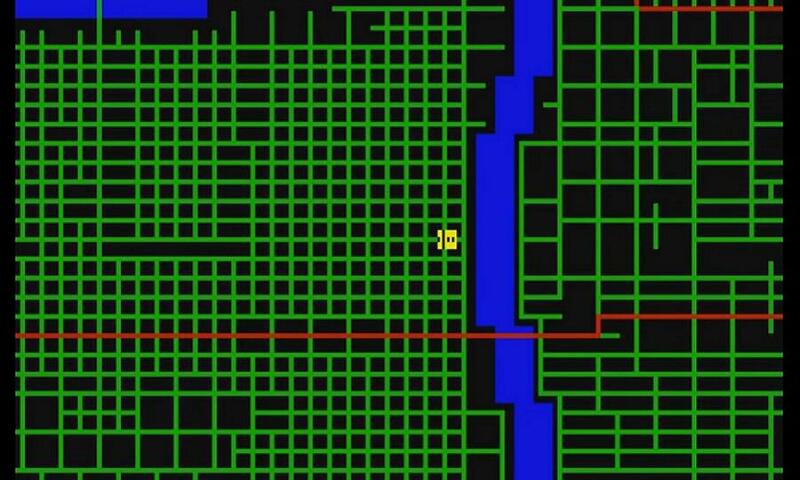 Legend has it that if the ravens should ever leave the fortress walls, the Tower and the kingdom will fall. In this after-hours life drawing event at the Tower of London, you can explore mythology, folklore and true tales of the Tower’s famous feathered guardians. Drawn at the Tower with Art Macabre: Ravens and Morbid Corvids is on Monday 5 June, 6.30-9pm. These adult-only evenings are a wonderful way to get behind-the-scenes of this world-famous landmark. 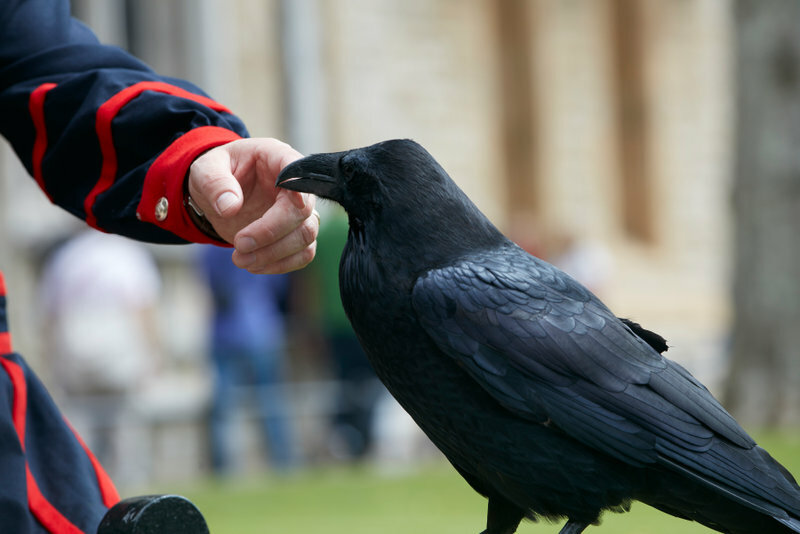 At this drawing event you’ll meet the Tower’s Ravenmaster and the fabled birds. The Barbican’s major summer exhibition is Into the Unknown: A Journey through Science Fiction. This genre-defining exploration of one of popular culture’s most celebrated realm opens on 3 June and runs until 1 September. The exhibition features many works shown in the UK for the first time including original objects and artwork from The Paul G. Allen Family Collection (the private collection of Microsoft co-founder Paul Allen); concept art and models from films Godzilla, Stargate and Dark City; and original manuscripts from iconic authors such as Jules Verne. And you won’t miss the six-foot video installation, from the award-winning British TV series Black Mirror, in the Barbican’s main Silk Street entrance hall. Southbank Centre’s Festival of Love opens on 3 June (and runs until 28 August 2017). The festival brings a summer-long programme featuring performances, music, installations and design from Nordic artists. Highlights include Outi Pieski’s Falling Shawls in Royal Festival Hall foyers, Jeppe Hein’s Modified Social Benches, North Sami Pavilion – an architectural collaboration with Umea University Sweden, the return of the Festival of Love Design Challenge, and lift lobby installations. Also this month (9-18 June) is Southbank Centre’s annual Meltdown festival. Rapper, producer, director and visual artist M.I.A.’s Meltdown showcases emerging and established artists from across the world to create a melting pot for global culture. The line-up includes Scotland-based hip-hop trio Young Fathers; a double-bill with Jamaica reggae stars I Wayne and Dexta Daps; French rapper MHD performing alongside Nigerian soulster Mr Eazi; electronic hip-hop artist Yung Lean from Sweden; Canadian electro thrash-pop duo Crystal Castles; the UK premiere of Brooklyn-based rapper Young M.A and many more. The outdoor Meltdown Mela on 17 June looks particularly good. Be mesmerised by the kaleidoscopic paintings of the international female artist, Fahrelnissa Zeid in a new exhibition at Tate Modern. Opening in 7 June (and on until 15 October 2017), this show features one of the most influential female Turkish artists, best known for her large-scale abstract paintings. Trained in both Paris and Istanbul, her abstract vocabulary has been described as a synthesis of Islamic, Byzantine, Arab and Persian influences combined with stylistic elements that were developed in Europe during the post-war period. The exhibition examines the evolution of Zeid’s figurative and abstract work, the themes she pursued and the methods and materials she experimented with during her career. It also highlights the tension in the works and the complex patterns and influences that have dominated Zeid’s practice: dynamism, the desire to represent motion through painting and her obsession with geometrical details. 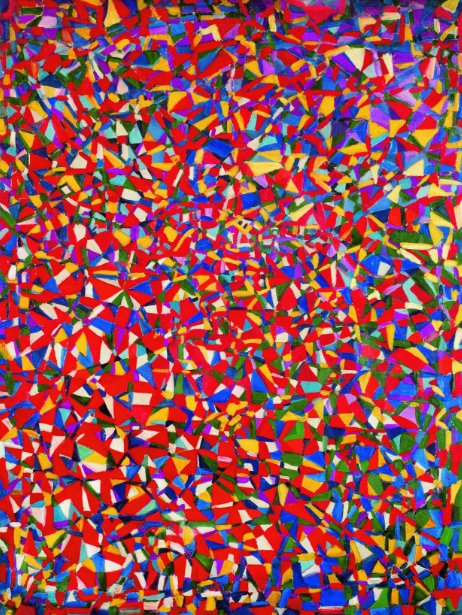 Fahrelnissa Zeid – Resolved Problems, 1948. 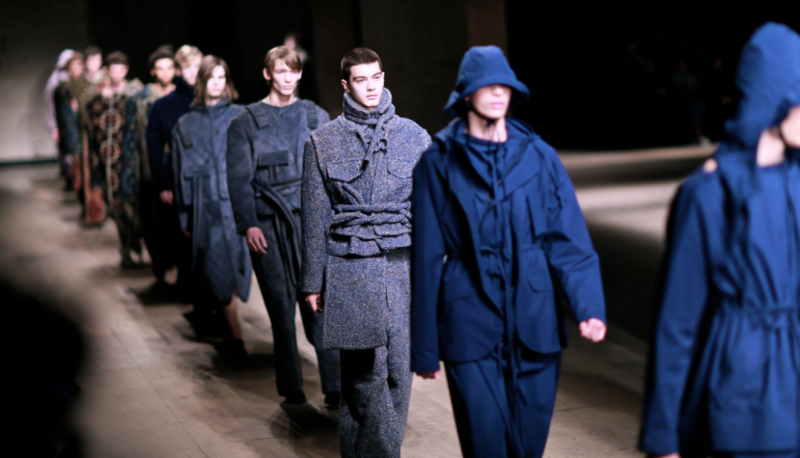 The 5th London Fashion Week for Men is on 8-12 June. Held at The Store Studios at 180 The Strand, there are catwalk shows and parties. It’s an industry showcase and an opportunity for consumer engagement with British designers. The venue houses the main British Fashion Council Show Space on the ground floor while the BFC Presentation Space and the Designer Showrooms including ready-to-wear, accessories and multi-brand showrooms are located on the first floor. As mentioned in the May recommendations, City Now City Future at the Museum of London is a year-long programme of events, exhibitions, creative commissions, talks and debates that explore the issue of urban change in London and around the world. Suggestions this month include Rebel Gardening on 24 June where you can learn how to make seed bombs and multiply your plants for free with cuttings. And on 26 June there’s Video games and science – a talk by award-winning science and health journalist and broadcaster Dara Mohammadi with Steven Armstrong, a medical journalist for the BMJ. The panel also includes Dr Erinma Ochu, Lecturer in Science Communication & Future Media at the University of Salford; and Simon Parkin, journalist and author of the book ‘Death by Video Game’. If you would like even more ideas for this month have a look at the Things to Do in London in June 2017 from Kensington House Hotel, our sister hotel. After much anticipation, the new Postal Museum is opening in July. As well as the interactive galleries we can (at last!) take a ride on the underground miniature trains of Mail Rail. Bruce Nauman will be the next artist presented in the Artist Rooms gallery at Tate Modern Switch House in a free exhibition opening on 24 July 2017. The Artist Rooms gallery is the London hub for showcasing work from the Artist Rooms collection. And from 28 July to 28 August the National Theatre’s outdoor festival returns for the summer. Each weekend, River Stage offers free live music, guest DJs plus dance and theatre.